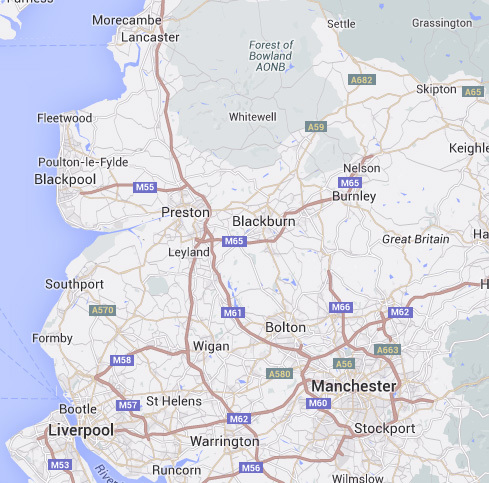 Aerial Services - Aerials installed Accrington, Blackburn, Darwen, Oswaldtwistle, Great Harwood, Rishton, Clayton-le-Moors, Clitheroe, Whalley, Burnley, Colne, Nelson, Padiham, Briercliffe, Hapton, Read, Simonstone, Haslingden, Rawtenstall and Stacksteads. 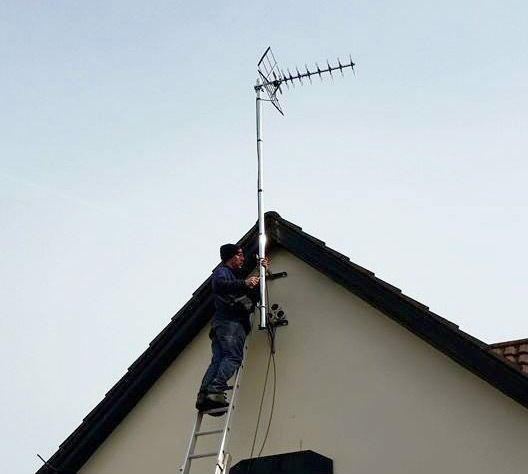 We offer new aerial installations to properties large or small and to one or multiple rooms If you are looking to watch Freeview or get a new aerial for your YouView or BT Vision box, then call for our latest offers and LOW prices! Need a Sky dish that Sky can’t fit? We can fit your dish onto chimneys, or other special height locations. 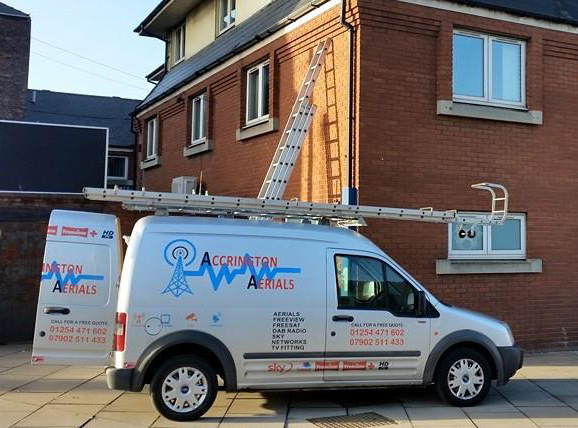 We also offer satellite service calls to correct dish alignment, replace LNB’s or replace or add satellite cables. 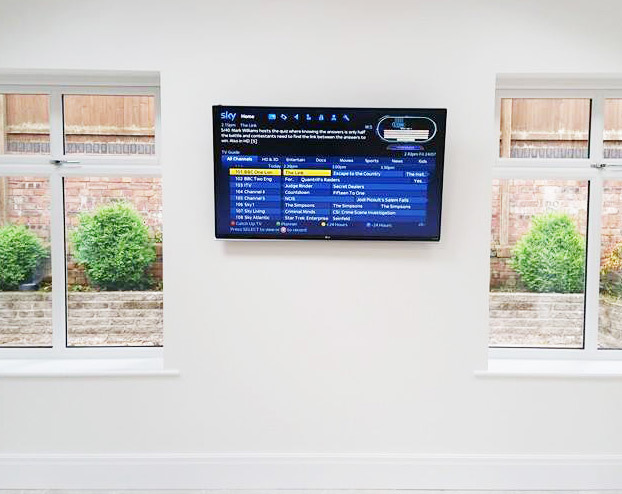 Our experienced engineers can wall mount any size of TV and hide those ugly cables. We can provide top quality brackets and leads to connect the services you need.